The Midwest is a little boring. Correction: Driving through the Midwest is a little boring. There are no mountains, twisting roads, or coastal vistas. The American Heartland is flat with prairies and cornfields as far as the eye can see. You’re starting to get a little sleepy at the wheel when pops of red and yellow catch your eye. As you drive closer, the gray-blue water of a river comes into view. The river itself isn’t an uncommon sight, but the kayakers paddling down it are. You impulsively decide to take the next exit. Start on the campus, where lots of trees and sculptures are interspersed with classically designed buildings. 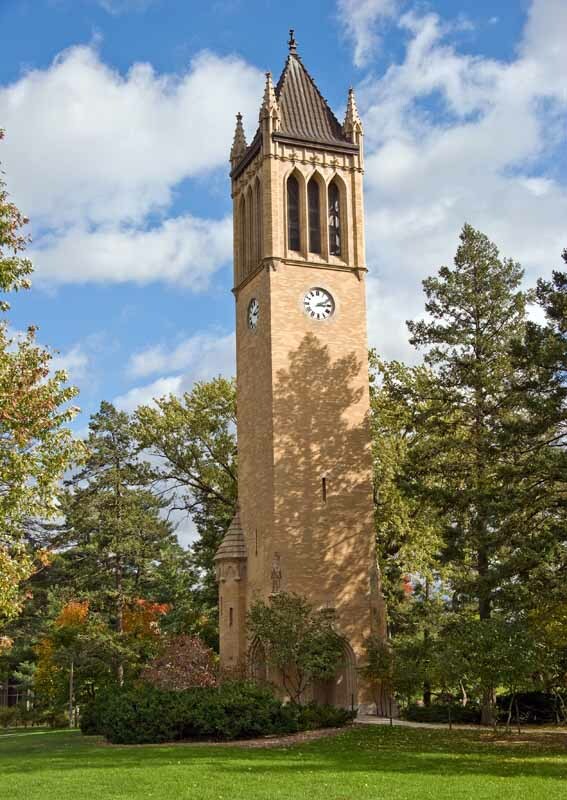 The Campanile, a bell tower with a clock, overlooks the central lawn. More modern buildings and a small lake stand on the edge. Explore the rose gardens, the Japanese koi ponds, and the butterfly house at Reiman Gardens. Check out your favorite type of art—you can see everything from paintings to the symphony to the ballet to a puppet theater throughout the city. Then go Downtown, since everyone seems to be heading in that direction anyway. Main Street is lined with old brick buildings, small shops, and little restaurants. See the studio space and gallery where grad students work at Design on Main. Visit the Chef’s Table, listen to a brass band, munch on Brandmeyer Popcorn, and collect freshly picked vegetables at the Ames Main Street Farmers’ Market. Buy cupcakes, cookies, and chocolates at the sweet shops. Compare the Sodbuster Stout Ale with the Off KILTer Scottish Ale at Olde Main Brewing Co. Taste wines from Iowa—yes, Iowa!—at Della Viti, a self-serve wine bar. Then decide you need to see one of these wineries for yourself. Along with award-winning wines, Snus Hill Winery has a deck with a view and live music. 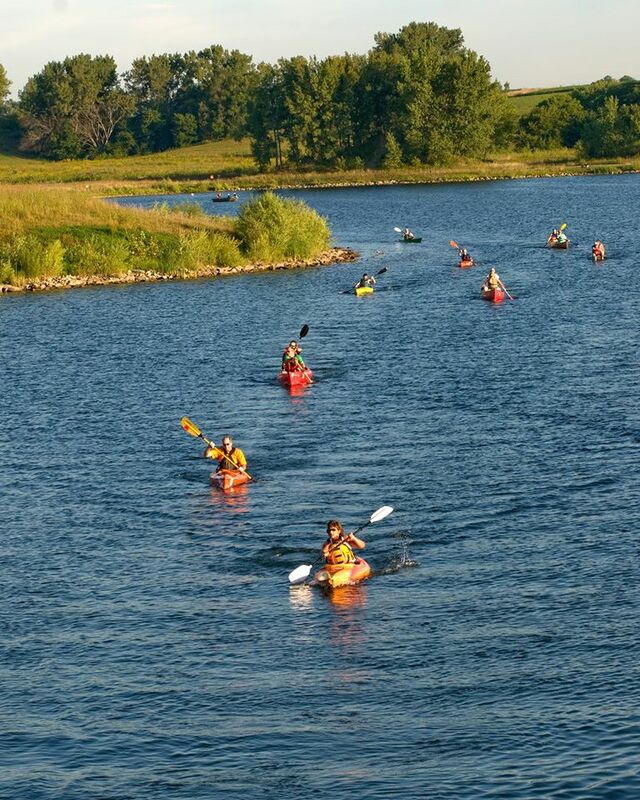 Boring is no longer the word you’d use to describe Iowa—and you haven’t even gone kayaking yet.